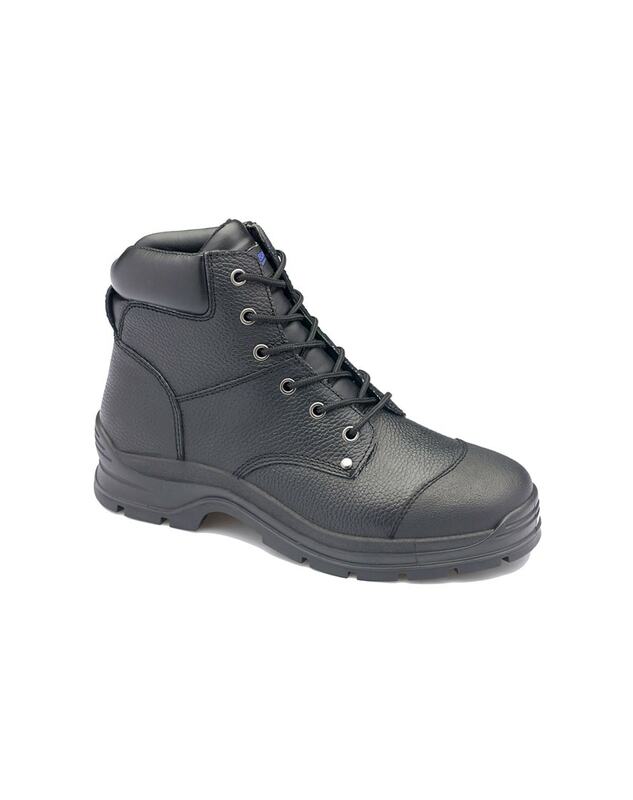 Black print leather lace up ankle safety boot with padded tongue and collar. Scratchguard toe leather protectionNew design polyurethane midsole/ thermourethane outsole highly resistant to hydrolysis and microbial attack. New full length removable PU footbed – antibacterial, breathable and washable. PORON®XRD™ in the heel strike zone for increased shock protection. 3/4 bellows tongue for increased protection from moisture and debris. Wide fitting steel toe cap. Electrical shock hazard resistant.